Our most recent kitchen renovation was a special overhaul for a family who wanted a modern, beautiful kitchen that had a flow with the adjoining spaces, coordinated with the rest of the house, and be a central location for entertaining friends and catching up with family. ...and reviewed their dreams for this project to come up with a proposed design plan. The flow of the room was of upmost importance, that the room be a gathering place but also match the rooms near it to make a natural flow to the home. 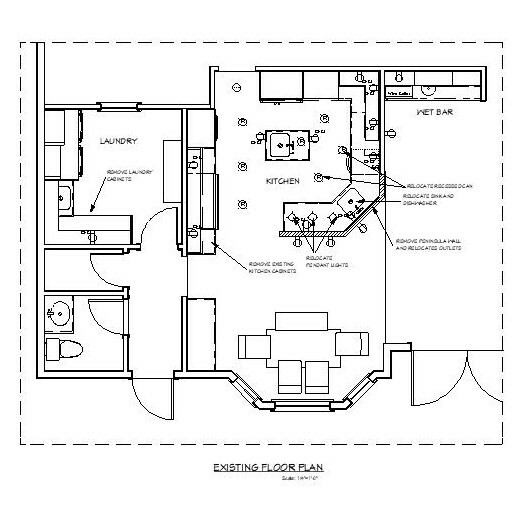 The design included modern appliances, features, storage, countertops, and seating. The cabinet style is transitional (a blend between modern and traditional, not overtly detailed but not plain, a happy middle-point between old and new while remaining beautiful and functional) with framed doors in white. These Argento Quartz countertops from POMPEII gave a beautiful marbling effect to draw the white and stainless together in a durable and long-lasting countertop. A beautiful backsplash compliments the striking markings in the quartz countertops. oversized island with multiple seating was a top priority. New lighting fixtures enhanced the space as well. New high-tech appliances were installed to bring not only the design, but also the function, into a more modern place. Storage systems, such as pullout trays and trash cabinets, are included in the design to improve functionality and maintain clutter-free counters. entertains with functionality and a beautiful look. 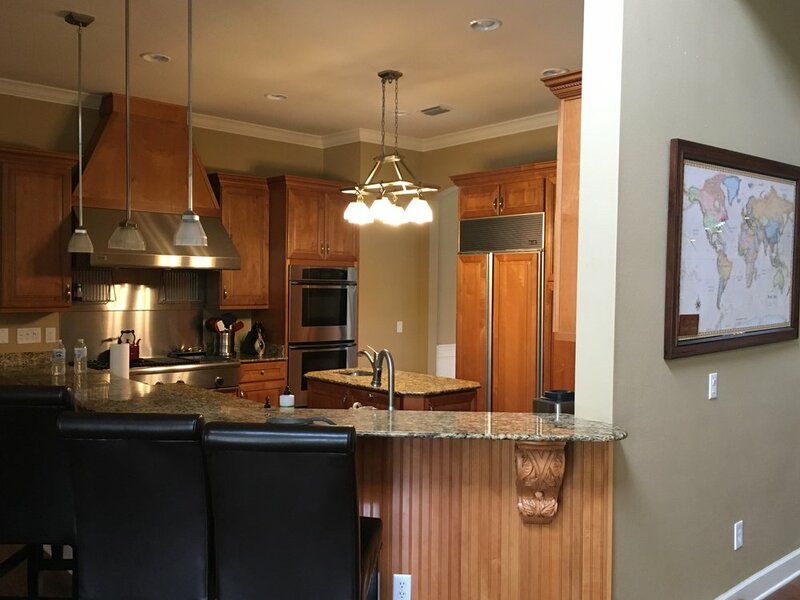 Overall, this remodel brought out light, functionality, better use of space, and a flow to the home with pleased homeowners and designers/builders alike. Contact us to see what we can do to help your kitchen function better for you!